With more and more of the population telecommuting, the idea of a home office has gone from "that would be nice" to a "must-have." But just because an area in your home is functional, that doesn't mean that it has to be hideous, or a replica of corporate America. On the contrary, your workspace should be a reflection of your personality. It should bring out your very best, and inspire you to think and work outside the box. 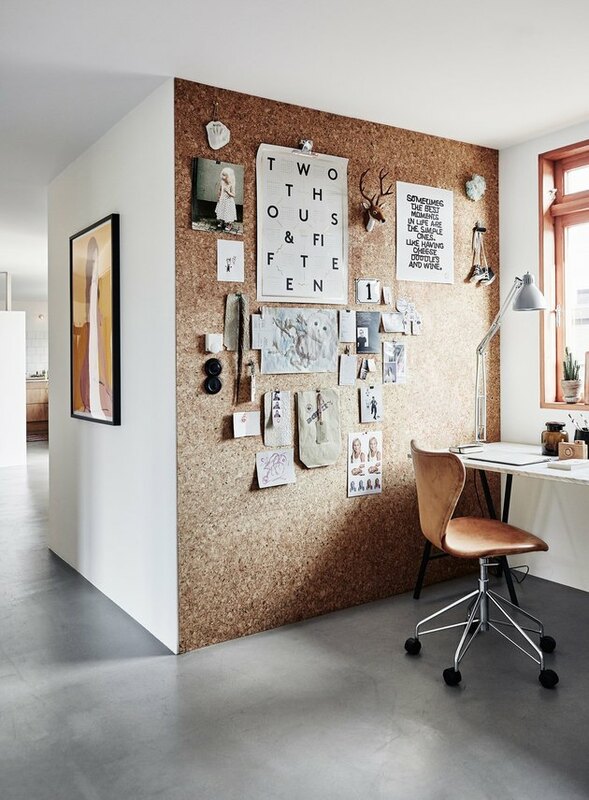 Check out this list of goodies that will beautifully and easily revamp your home office, all for less than $500. 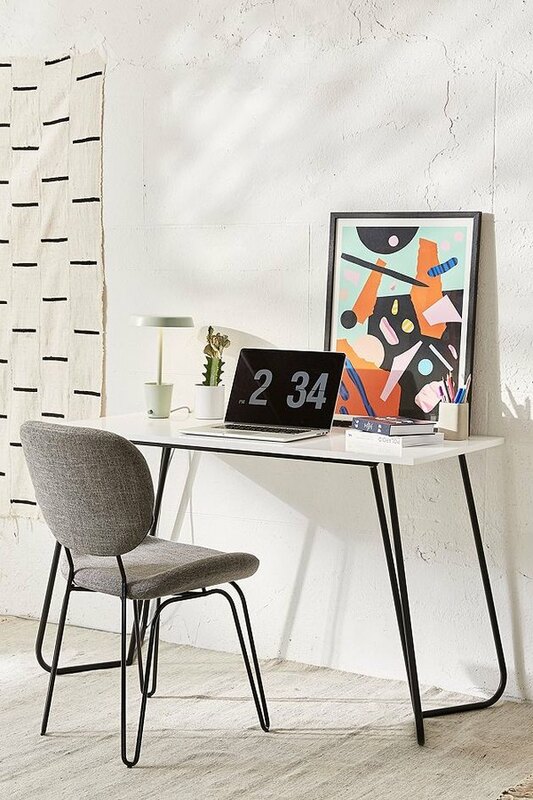 This desk's sleek design is a lesson in modern minimalism, and we are taking notes. 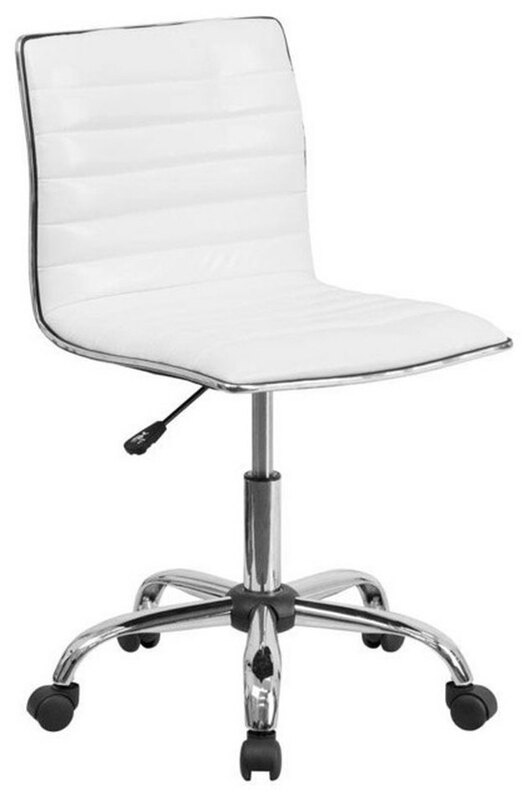 We're pretty sure that a gorg desk chair is the key to any overnight success. And with ribbed upholstery, this modern and functional design is sure to offer 360 degrees of inspiring brilliance. You know what they say, "Two heads are better than one." 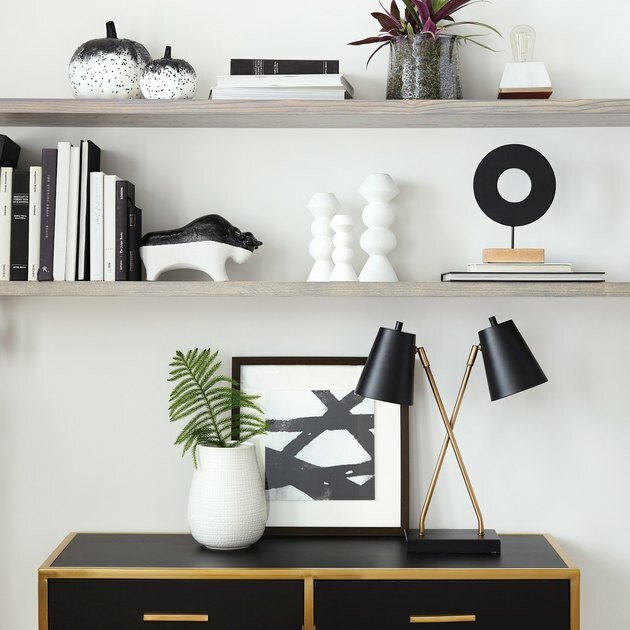 Add a little glitz and glam to your workspace with this black and brass-finish task lamp. You're sure to be even more productive with twice the lighting. Always be prepared to jot down your next great idea. 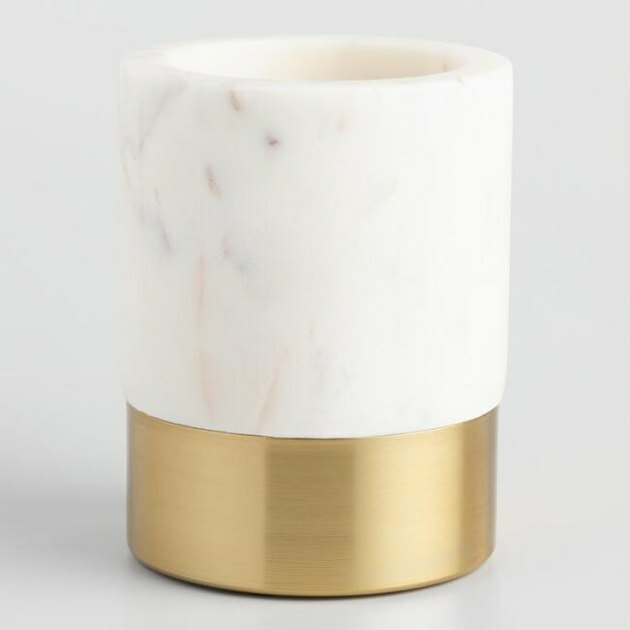 Keep pens and pencils at the ready with this posh marble and brushed-gold pencil cup. 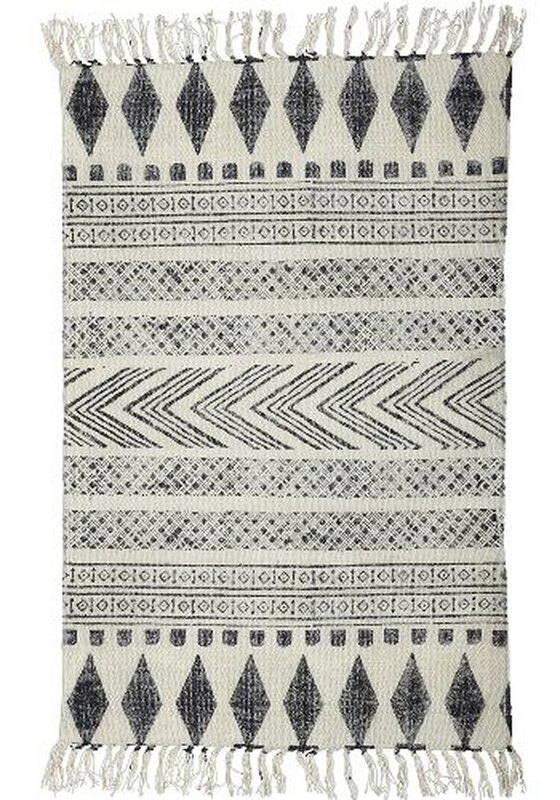 Whether you conduct business in your jammies or your picture perfect finest, this geometric print area rug by Scandinavian brand House Doctor is a cozy treat that your feet will appreciate. 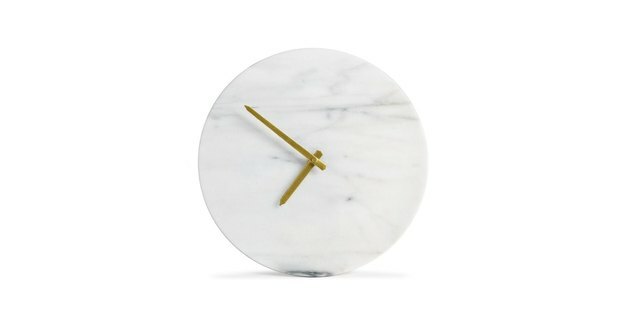 Keep your busy schedule running like clockwork with this timeless, polished-marble wall clock. 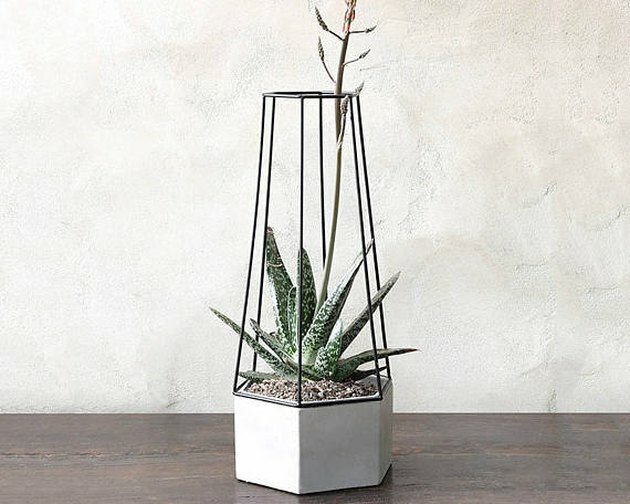 Bring some life into your home office while you're breathing life into those savvy business ideas with this streamlined cement planter: Topped by a geometric metal frame. "Bills, Bills, Bills" by Destiny's Child warned us about the all too familiar part of adulting. 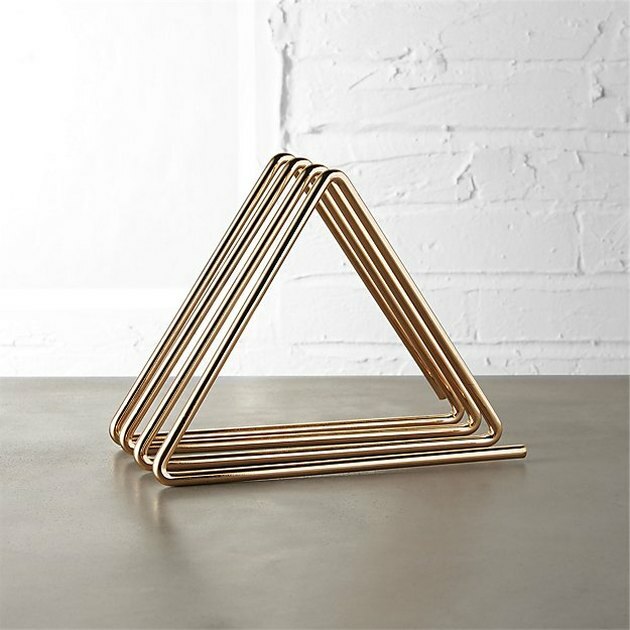 So keep those pesky notices organized and put them in their place with this elegant, triangle-shaped storage solution. What good is a pretty desk organizer without file folders? 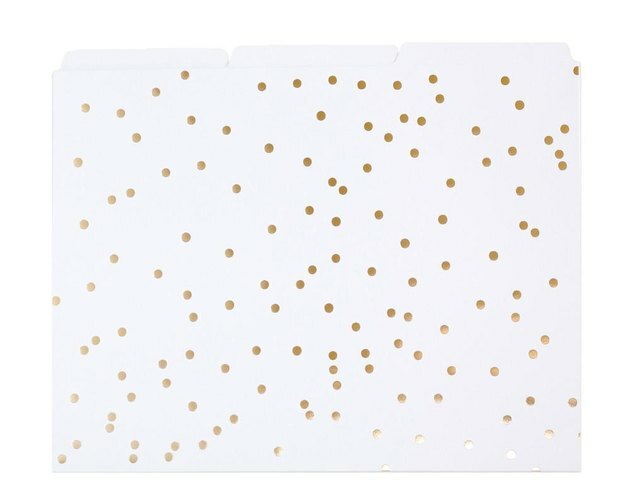 Skip the classic plain-Jane options and try these fun, spotted folders instead. Tidying up never looked so good! 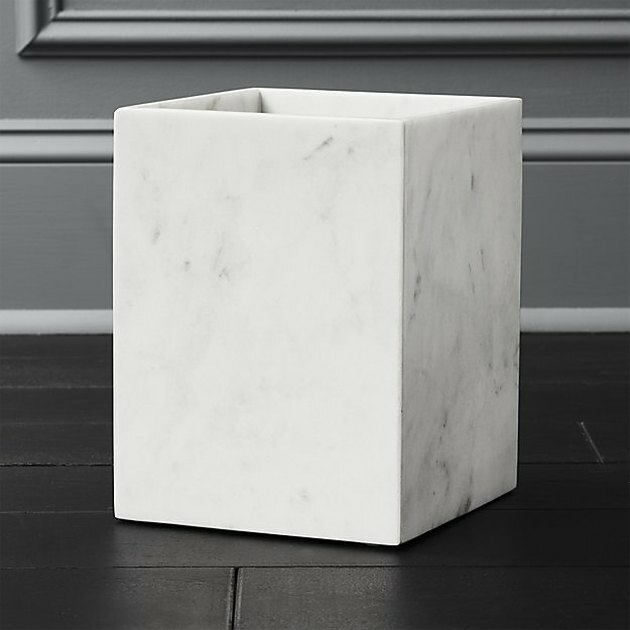 This swanky, marble wastebasket makes the perfect accompaniment to keep your office neat and clean.